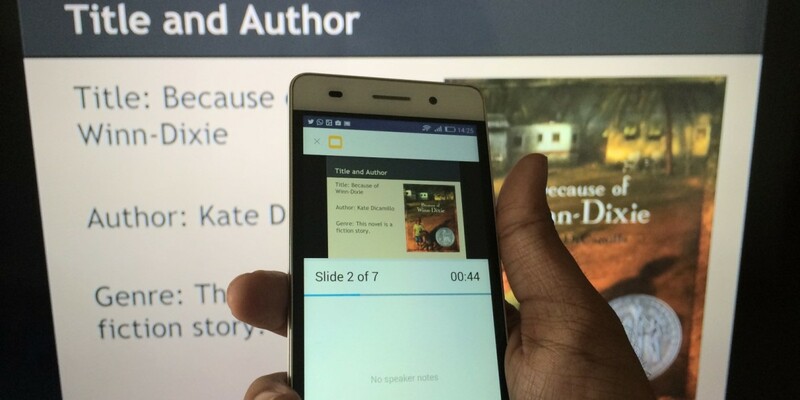 The updated app lets you beam your slides to a Chromecast dongle plugged into a TV or projector and control your presentation by swiping back and forth on your phone or tablet. You’ll also be able to view your notes and a handy timer privately on your device. The latest version of Slides should arrive in Google’s Play Store soon. If you don’t want to wait, you can grab the APK installation file from APK Mirror and sideload it onto your device. Update: Google Slides has been updated on Android and iOS with support for both Chromecast and AirPlay, so you can use the app on either platform to run your presentations wirelessly.